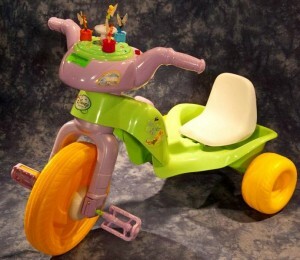 The U.S. Consumer Product Safety Commission, in cooperation with Kiddieland Toys Limited, today announced a voluntary recall of about 12,000 (9,000 Disney Princess Trikes were recalled in April 2011*) Disney Fairies Plastic Racing Trikes because the plastic fairy figures protrude from the top of the handle bar posing a laceration hazard if a child falls on them. This recall involves the Disney-branded Fairies Plastic Racing Trike. The trike is green and purple with a white seat and yellow wheels. 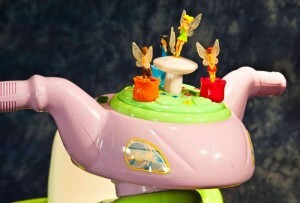 On top of the handlebar, there is a Tinkerbell figure and three other rotating fairy figures. “Disney Fairies” is printed on the label in front of the trike just below the handlebar. 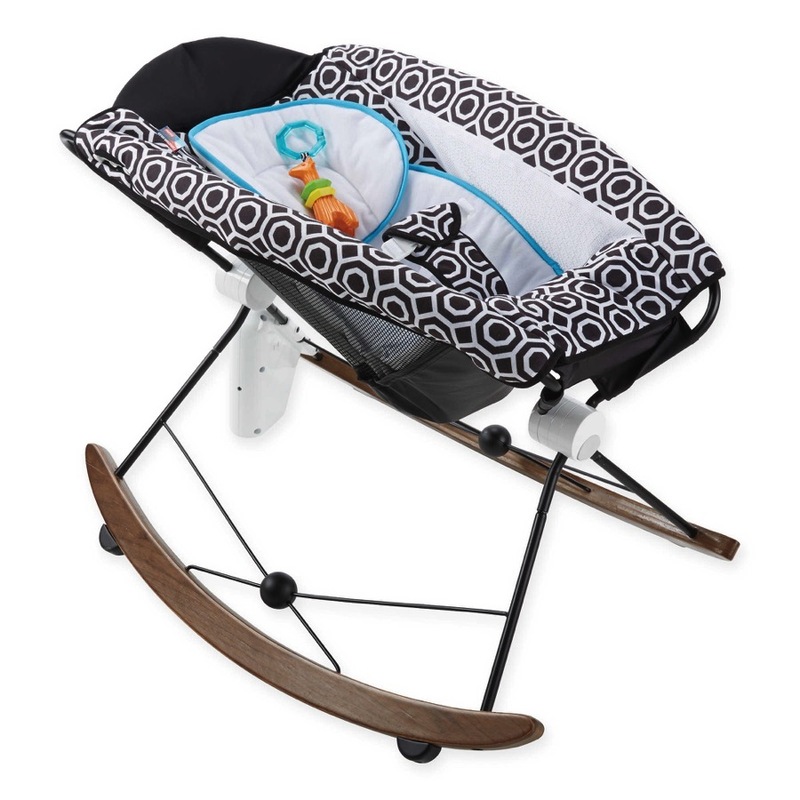 Remedy: Consumers should immediately take the trikes away from children and contact Kiddieland at (800) 430-5307 anytime, or visit the firm’s website at www.kiddieland.com.hk for a free replacement handlebar with an enclosed rotating display. *New model Princess Trikes do not have figurines and are not included in the recall.